A funny thing happened during raid last night. See, I haven’t finished leveling Anglers rep yet. I know, I’m really far behind. I just got so burned out on dailies. I’m doing it now. But I don’t have the waterstrider mount. 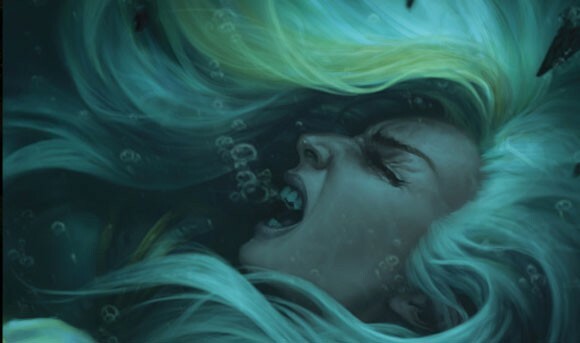 When our raid gets to the part of Siege of Orgrimmar where Jaina gets all portal-happy, they all jump off the boat and run for shore instead of waiting for her. I get it – nobody likes to wait for a mage’s portal. Ingrates! You’d think that because Voss plays a death knight I’d be assured of getting Path of Frost – nope. He never waits. So yesterday I jump off along with them, hoping I’ll be in time, only to land sadly and flounder in the water. “No one ever waits for me!” I cried piteously. Our shaman turned around, came back and cast water walking on me. He is my only friend. 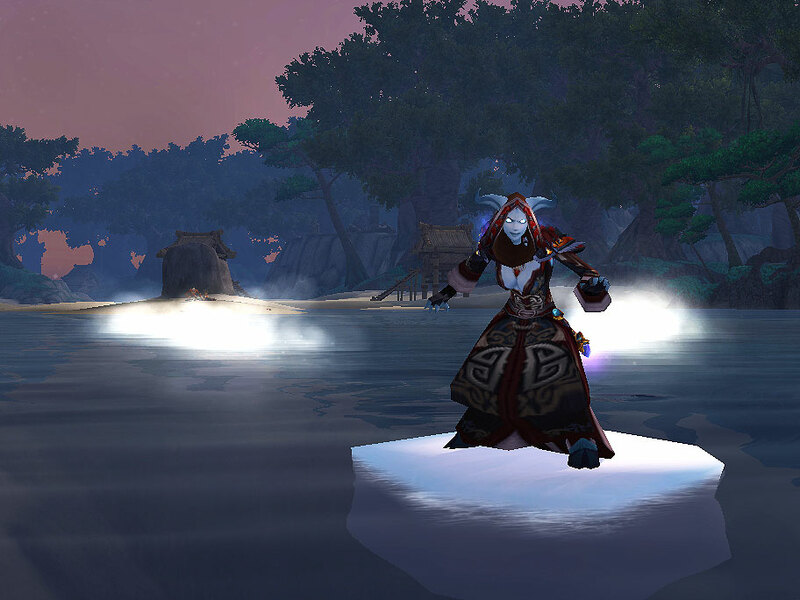 Important to note: If you are not a mage, you cannot conjure the ice to make this raft. You won’t see it as a purchasable option from the quartermaster. You must use the more pedestrian wooden option. I can’t even be annoyed at Rhidach for costing me 5 gold, since if he hadn’t, I wouldn’t have a way to go across the water as well as a really cool new mage only trick. I guess it costs 782 gold if your profiteering guild mate has to tell you about it first! Worst screenshot. Best CM friends. We’ve been working on challenge modes for several weeks now. I realized that if we didn’t schedule a specific time and day, we’d never get them done. So sometime last month we finally got it started, choosing Sunday mornings as a time that works for all five people in our group. We do them for about two hours, which seems to be the magic number to make progress each week and end before people get too tired. Challenge modes are both exhilarating, and exhausting. When we first started doing them we did very little research beforehand, and just did whichever one happened to be the daily quest at the time until we had worked our way through all of them. Most of the Bronze rewards are a given and we were usually able to snag a Bronze without any preparation. There were a few instances where we achieved a Silver our first time through: Siege of Niuzao and also Temple of the Jade Serpent. The most commonly recommended “easy” first Gold is Gate of the Setting Sun but we did not find that to be the case for our group. We have Rhidach (prot/ret paladin), Itanya (resto shaman), Shaen (elemental shaman), Vosskah (Blood/Frost DK) and myself (Fire/Frost mage). When we were working on Gate, Rhidach was tanking and I was still fire. We had many frustrations with all of that initial trash. People getting killed by the sappers, people getting killed by bombs. It was aggravating in the extreme. We eventually ended up deciding to focus on another CM for awhile before coming back to that one. Our next target was Temple of the Jade Serpent, because we’d gotten a Silver there without trying. It’s considered a medium difficulty challenge mode but it seemed like a good fit for us. As we worked towards a Gold, we really had to refine our strategy. We used invisibility potions to skip trash in-between the first boss, Wise Mari, and the second encounter. This has to be carefully orchestrated because if you skip too much trash you won’t have killed enough enemies to complete the challenge. The most challenging part of this instance was really the final courtyard and the trash packs here. Many times we wiped to those pulls prior to the Yu’lon fight. We weren’t even sure what we were doing wrong or what we could do differently. In the end, we decided to change tanks between Rhidach and Voss and see if that made the difference. It really did, mostly because Rhidach’s DPS is a ton better than Voss’ (sorry, Voss). And Blood DKs do so much damage anyway that he was actually doing more damage after switching to tank than he had been as a DPS. It’s tough, because you want to just bring your friends in their preferred roles to CMs, but in order to get Gold we really did have to do some optimizing. We still have a tank playing off-spec though and he’s getting more comfortable in the role all the time. Just this past Sunday Rhi couldn’t use an invisibility pot because he’d used a strength potion on the boss – I was so proud. Granted, it wasn’t the best time for a potion but using potions at all is a great DPS impulse. I really appreciate that Rhi has been willing to step outside his accustomed role in order to ensure success of the group. 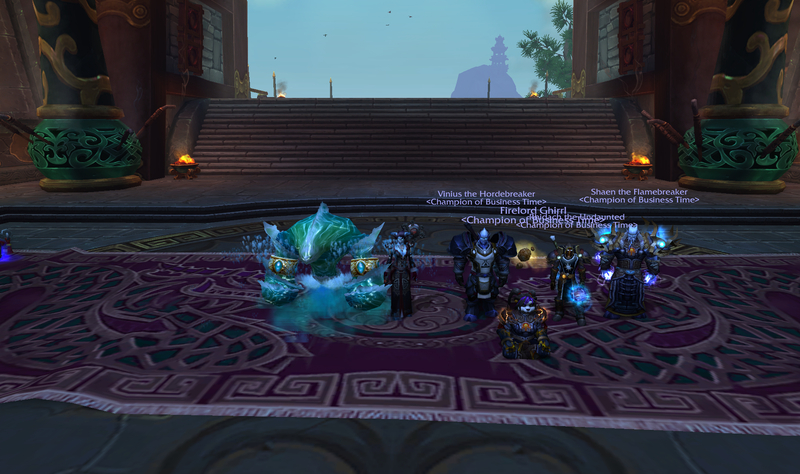 And we did have success, snagging our first Gold from Temple just a few pulls after switching things up a bit. We decided against using the technique to have one person pull the last three trash mobs and then lose aggro on them in order to skip them. With dragging them into the Sha’s room and alternately freezing and DPSing them they didn’t hit too hard and we were still within the Gold timer when we downed Sha. Whatever works, right? That brings me to the other major change that happened in between some of our struggles in Gate and our success in Temple. That was when I switched from fire to frost and it made a huge difference. I don’t think on boss fights it’s necessarily as large a margin, but with Glyph of Cone of Cold and Glyph of Ice Lance the AoE burst that a frost mage can put out is ridiculous. They also scale very nicely with a lower item level of gear and so overall I felt like a powerhouse instead of struggling with my crit rating as fire. It took a few runs to really get the hang of running as frost and to truly maximize the capabilities. A well-placed Frost Bomb, elemental freeze, Deep Freeze or Cone of Cold can really make some of the trash packs more manageable. It was also fun. Not because fire isn’t fun, but because doing really good DPS is fun. Feeling like your contribution matters is also fun. 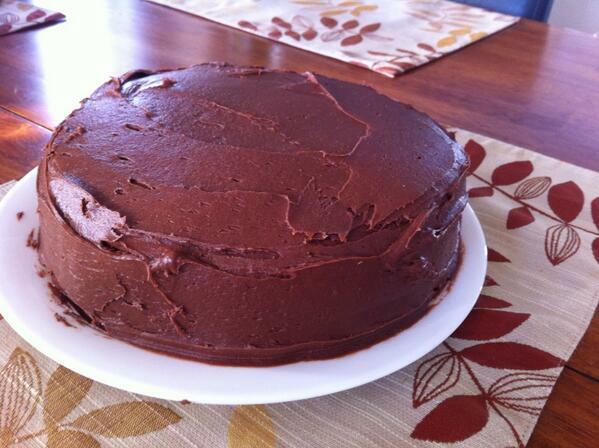 Switching to frost in CMs had the unintended effect of making me frost all the time for right now, which is okay too. I may swap to fire once Siege of Orgrimmar comes out, but current Combustion nerfs on the PTR are staying my hand for the time being. It helps that it’s enjoyable to play. I’m nervous about the new frost mastery. It sounds like it is not good in situations when you can’t accumulate Icicles quickly enough, and compared to Frostburn there are times when your mastery isn’t active. We’ll really have to wait and see, though. I think it will actually be beneficial in cleave situations, so continue to be very strong for Challenge Modes at the very least. If frost lags behind in raids, I will swap back to fire. Our current CM challenge is Siege of Niuzao. We had our best time this weekend, a Silver very faintly tinged with Gold. The biggest stumbling block has been the second to last boss with his immunity shield and bombs. The way to quickly move past this entire area is to not pull any trash beforehand. The first time he goes immune and begins summoning bombs, you use the bombs to easily dispatch all of the additional trash as well as the trash he summons during the fight. The problem with this has been that we keep having those existing adds run at us during his phase. One time it was my stupid Mirror Images; another time it was possibly a totem. I don’t know whether my water elemental will also pull them so I’ve been dismissing him as soon as that phase starts. It’s frustrating because it feels a bit random in terms of being able to achieve it and it comes after such a long run to get to that point. I think our scheme for next week is going to work though. I’ll be sure to put Ring of Frost down on the other side of Voss to keep him from going splat the way he has been. Even if we can just buy enough time for bombs to start coming out it should work. That time saved should be the difference between a Silver and Gold run, so I’m hopeful for next week. Challenge Modes have been a great way to push ourselves to play better and to think creatively. They might just be my favourite thing added to the game during Mists – and that’s saying something, because there are so many things about Mists that I have enjoyed. My only regret about CMs is that unlike raids, I don’t get to do them with all the people I like to play with. I just don’t have the time to dedicate to two separate CM groups. Have you tried Challenge Modes at all yet? How have they been going for you? Just this past Tuesday, I finally gathered enough Titan Runestones to proceed to the next stage of the legendary quest chain. Omitting any plot spoilers for folks who don’t like that kind of thing, the next stage involves one of four challenges issued by a Celestial. Each challenge is specific to the Celestial in question, and you only need to do one of them. 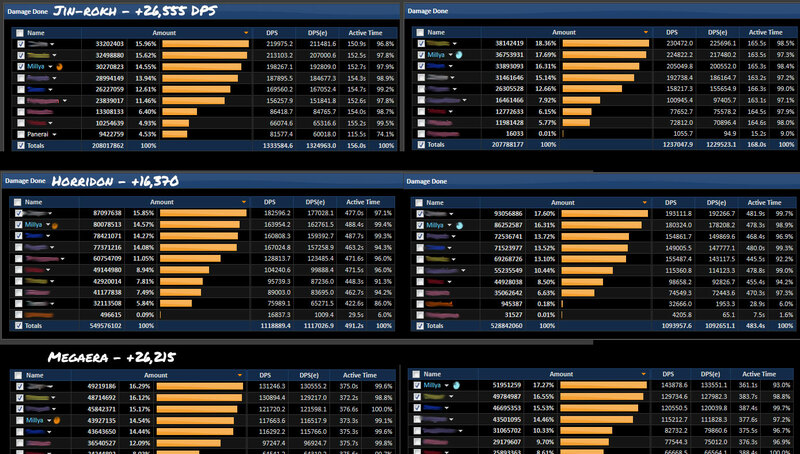 There’s tanking, healing, ranged and melee DPS challenges. Naturally, being a pure (awesome) class, mages will be doing the ranged DPS challenge. I’ll admit it here to my great shame: This challenge wasn’t easy. It took me a long time. I am a fully normal-geared raider, I’ve cleared ToT and my ilevel is 530. I also think I’m not generally terrible as a mage, but I really struggled. I died, and died, and died again. There was a shadow priest there doing it at the same time as I was, and we ended up whispering to each other eventually. You can tell someone else is dying because the challenge is instanced, so you ring a gong and disappear. When you die ignominiously, you show up again at Yu’lon’s feet. This shadow priest and I kept running into each other again and again. At first I was embarrassed, then secretly relieved that I wasn’t the only one having such a hard time. I pulled out the guild bank and took flasks and more potions and some Banquets of the Oven that nobody cares about. I had long since abandoned my purist “I’ll defeat this challenge without outside help” attitude and alt-tabbed out to see what Wowhead and other people had to say. The strat most people seemed to recommend was one that allowed you to ignore most of the mechanics. This was so prevalent that it was tough to find any other information about the fight. I did try this method but it didn’t seem to work and I resolved to do it my own way. Here’s how the fight goes. You’ll want to stop reading at this point if you’d prefer not to know. Yu’lon suggests that power without wisdom to guide it is a bad idea. She tells Wrathion this and he scoffs, at which point she suggests that I should fight Wrathion to prove her point. He of course immediately refuses (“I would annihilate my own champion!”) but then she drops the other shoe: he’ll be fighting me blindfolded. It’s a little insulting, but I suppose it is the only way a fight between a black dragon and a single person could possibly be even. So he agrees, and that’s how the fight goes – Wrathion is blindfolded. Throughout the course of the challenge, he’ll use several abilities to try and locate you. A frontal cone (ground) attack, a large circle of fire, a “rain of fire” type ability, and a series of small ooze adds. Later in the fight he also conjures many copies of himself (Mirror Images writ large!) that you must kill before they complete their cast of a spell called Inferno because it hurts a great deal. The hardest part of the fight is his ooze adds. You cannot take more than a few hits from any of them before dying horribly. They also buff themselves the longer they are alive, gain a movement speed buff, and continue to chase you. They are susceptible to stuns, slows, and CC, so I suggest you use all of this to your adventure. I did the challenge as a Frost mage, using my WE’s freeze to lock the adds down while kiting them around. The other thing that really made the difference for me in this fight was swapping out the Cone of Cold glyph in exchange for Glyph of Arcane explosion. A combination of Flamestrike, a few Living Bombs on the adds and glyphed AE was enough to kill them relatively quickly. Without the extra five yards from the glyph, you have to get dangerously close to melee range from the quick-moving oozes. -Grab a Celestial Offering from the August Celestials quartermaster. It gives you a 10% intellect buff while you are near the Temple. It should be noted, I didn’t find this out until after and I did it without, but it would’ve been a welcome boost. I used Ice Floes, Ice Barrier, Ring of Frost, Cauterize, Living Bomb, and Incanter’s Ward. An argument could definitely be made for using Blazing Speed if you prefer, and Ice Ward in place of RoF except it requires something to hit you in order to activate and we’re trying to keep these oozes from hitting us. Cauterize can save your bacon at least once during the fight and is highly recommended. You could also use Nether Tempest instead of Living Bomb, I chose LB for its superior single target damage because I wanted to hurt Wrathion as much as I could while I was DPSing the oozes. NT’s no target limit and superior AoE damage is nice though and could likely have worked just as well. The last talent choice to use Incanter’s Ward instead of Invocation is another personal thing. The damage mitigation is very valuable here, and time to stand and evocate is precious. I found that evocating was interfering with my kiting, so I switched. Glyph of Arcane Explosion is recommended for all specs. Those extra five yards makes this much, much easier. As a Frost mage I used Glyph of AE, Ice Lance, and Water Elemental. Put yourself behind Wrathion to start the fight. 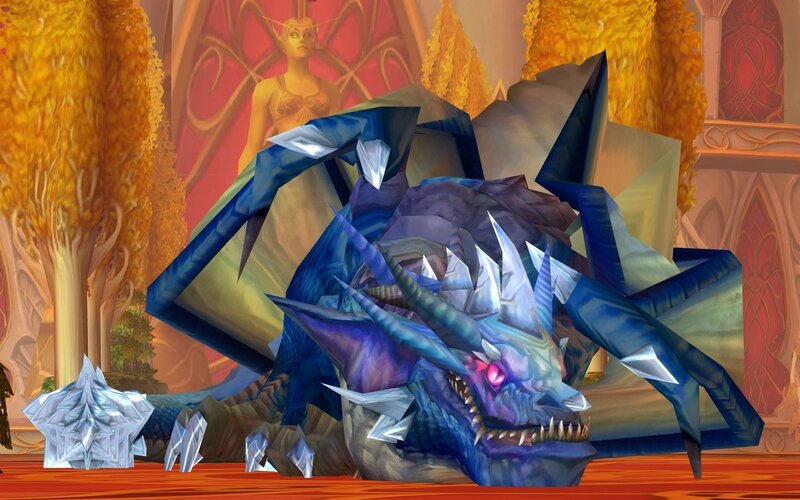 He’ll always be facing towards Yu’lon. You have the option of using Time Warp at the beginning or saving it for later when you’re a bit desperate and things are getting hairy. I’d suggest pre-potting as well – front-load your damage as much as you can. If you are Fire, try to line up a good Combustion ASAP and hit Wrathion with it very early on. He’ll cast 1-2 of his frontal cone abilities, and possibly his rain of fire thing. You can tell where the fire is falling because it casts a dark shadow on the ground – be someplace else. Ice Floes is nice for this time because you can keep DPSing him while dodging around. He usually spawns the oozes about 10-20 seconds into the fight. They will mill around aimlessly in a group for about three seconds and then they will start heading towards you. You must not let them reach you. Do whatever it takes to achieve this – You can start off with a Ring of Frost to freeze them in place and gain a few valuable seconds of lead time on your DPS. Remember, the longer they live, the faster they get. You must also DPS the oozes while Wrathion is doing his best to hurt you. Blink, of course, is helpful but it’s not available often enough on its own. Having the extra freeze from the Water Elemental and your own Frost Nova helps a ton. Let them get just close enough and then Frost Nova them. Put either Living Bomb or Nether Tempest on them and then run a bit. Try to hit Wrathion as you run by him. Try to drop a Flamestrike and then Arcane Explosion as much as you can (bonus: it will hit Wrathion too). Once the oozes are dead, they are out of the fight for a little while…but here’s the kicker. You can’t ever really kill them. They will respawn. Also, they will respawn from the position they died at, so try not to be anywhere near their bodies when this happens. 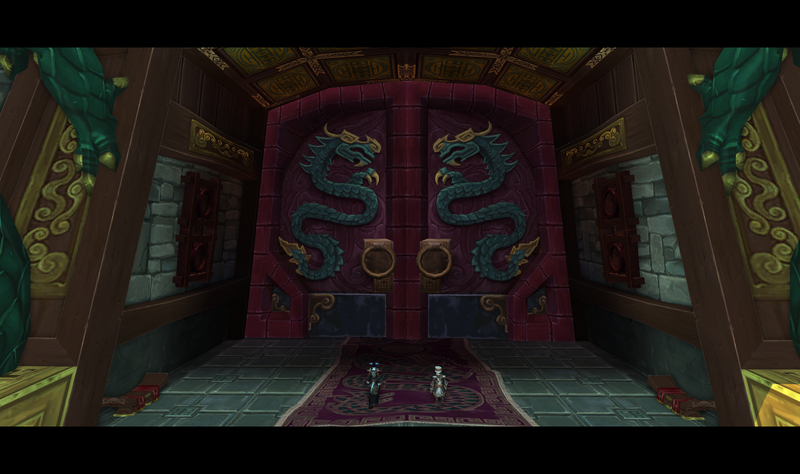 Meantime, Wrathion will be casting his next big ability – he will fill the room with duplicates of himself. Use Arcane Explosion to kill them QUICKLY. If you fail to kill them, they’ll cast Inferno. You can likely survive a few Infernos but the entire room doing them will spell your demise. He will summon two rounds of these, but you should be able to make quick work of them. At this point, unfortunately, depending on when you killed them – oozes are going to begin respawning and chasing you. In a way, you’re fighting a battle against time because you have to defeat Wrathion but the oozes could be a full-time distraction if you let them. Continue to DPS Wrathion whenever possible, especially after the first wave of oozes dies and before they’re able to respawn. Kill them again when they respawn and try to take Wrathion down. This would be a good time for that Time Warp if you didn’t use it earlier. Use another potion. Blow him to smithereens! I found that even DPSing Wrathion any time rather than waiting until you are behind him still added up significantly over time. Cleave from Ice Lance or other AoE will also damage him a bit. If you can survive the two ooze phases you should be in the clear for finishing Wrathion. Don’t lose sight of your goal and try to stay calm. Once you get the hang of the ooze adds you’re well on your way. This is a good Fire mage point of view for this fight. You’ll see he takes the adds out using a combination of Nether Tempest and single target/Pyroblast procs. He also stuck with Invocation and opted to use Time Warp after the second set of oozes has died. There’s really no wrong choice of talent or strategy, just what works for you personally. Note: the method recommended by many casters for this fight is to spec into Greater Invisibility or some other aggro dump and head out to the balcony railing when the oozes spawn, using your invisibility. The idea is that the oozes will just hang out inside the temple and never attack you at all. I did try this just to see if it would keep me from tearing my hair out, but I didn’t find it worked. After my invisibility expired, the oozes headed straight out onto the balcony for me. Moreover, they also became impossible to kill because they’d been alive so long. It didn’t end well. The balcony strat is also supposed to allow you to ignore the mirror images that spawn. I’m not sure if this has been hotfixed, but it wasn’t a viable method when I attempted it. I’m happy to have done it “as intended” anyway. I will give you one last tip, though – make sure you check the status of your gear. If you’ve been wiping over and over (and the wipes pile up quickly, much like my unfortunate corpse) you can find your gear destroyed in short order. At some point I took a break for supper, came back and had a really good attempt – yesss! I’m finally getting the hang of this! Then I did progressively worse and I couldn’t figure out why, until I looked at my gear, which was entirely and completely red. Effectively, I’d been DPSing Wrathion naked. Hey, at least he was blindfolded! Good luck with this challenge, even if it’s tough, you can do it! If you have tips or tricks I didn’t think of here, please leave them in the comments! Unless your “tip” is “I one-shot this! It was so easy.” If you’re that guy I don’t want to hear from you. There are different schools of thought on whether you play a spec, or you play a class. 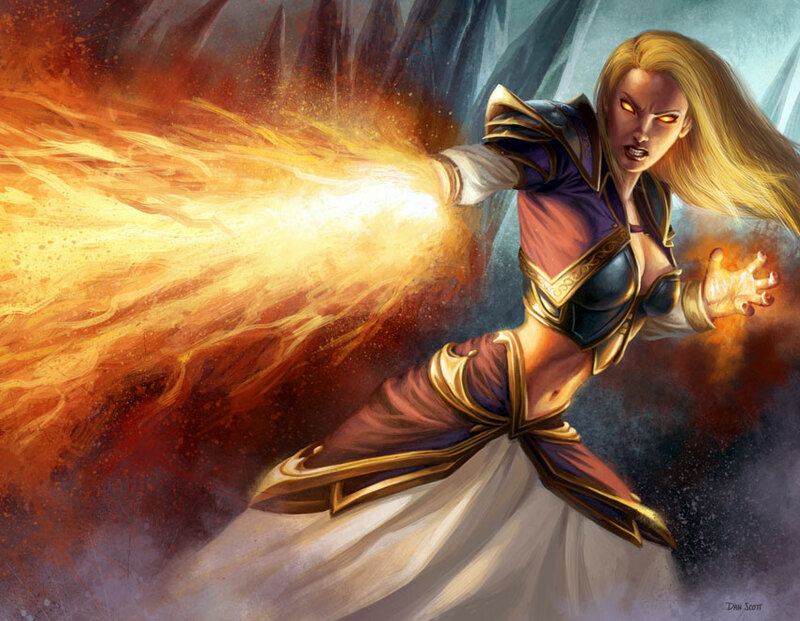 I’ve heard people say that you shouldn’t consider yourself a (Fire/Frost/Arcane) mage but a MAGE – able to switch specs accordingly should the need arise. This is an attitude that ticks off other people who really only like one spec for their various classes. Personally, I’m somewhere in the middle and have actually changed my mind over time. It’s a little-known fact that I originally created Millya with the intention of making her a Frost mage. I seem to remember even choosing her appearance accordingly. Thank goodness I didn’t name her “Frostwizzard” or anything like that. 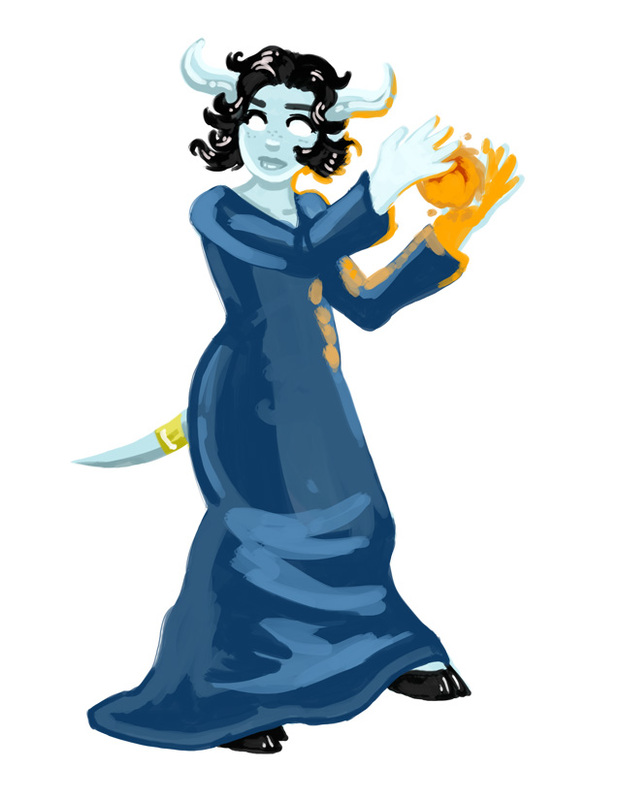 Or another mage I knew, Icyfire… what if they wanted to go arcane later? But as I was leveling, Frost just wasn’t working for me. Conventional wisdom at the time (Burning Crusade) said that Fire was bad for leveling. And you know, I died a lot. But by gosh I had fun doing it. Later on when I hit 70 I went to BGs as the best kind of glass cannon – the kind that would merrily explode in the face of a dozen people. I think it was Christian Belt, the erstwhile great Archmage from WoW Insider who joked that all Fire mages really wanted was a spell that would just, literally, make them explode. They’d be okay with this, as long as they took plenty of people with them. 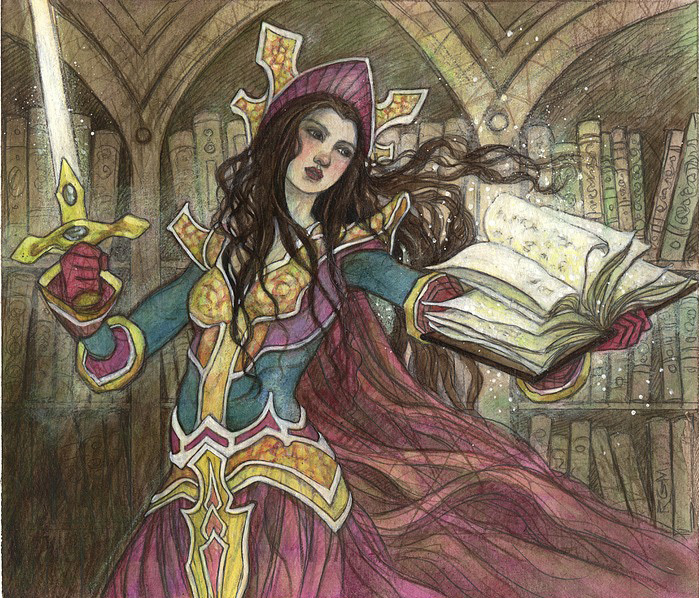 I’ve played all three mage specs over the years as their fortunes rose and fell. I was Frost at the start of Wrath for leveling. I was a Frostfire mage when I hit 80 because it was actually pretty good at low gear levels for awhile. I was Fire unless I had to be otherwise – at the end of Wrath I was Arcane for a good chunk of it because Fire was too far behind Arcane to ignore it. For all of Cataclysm, I was Fire, and so far for all of Mists I have been Fire as well. I like the changes they have made to the spec. Heating Up helped to smooth out some of the frustrating RNG aspects of Hot Streak! and Inferno Blast gives you a reliable way of managing your procs to a certain extent. It’s better than just fishing around for HS procs as we used to do. Combustion is, by its nature, still very RNG dependent. You have to get a super ignite and manage all of your other DoTs in order to time it just so. The reduced CD on Combustion itself makes this less punishing than it used to be, though. I think they did something about ignite-munching? Don’t quote me on that though. I’m not a theorycrafter and I never made that claim. It’s not really my thing. I’m just an avid mage who has been predominantly Fire for a long time. Recently, I was tripped up by a problem, though. I felt as if I was holding our challenge mode group back from success. Fire’s AoE power in this expansion has always felt weak to me. I miss Blast Wave/Instant Flamestrike. I don’t like having to get right into a group of mobs and spam my Arcane Explosion button. Nether Tempest is nice, but you still have to put it on a group of mobs before it really starts to ramp up, and by that time our shaman’s chain lightning has already killed stuff. It’s not fun. Taking into account the lowered gear levels of challenge modes (a normalized 463 ilevel), being Fire was even less fun. I found, frustratingly, that things were living too long and my trash DPS just wasn’t high enough. On boss fights, I wasn’t getting enough HS procs or a really nice Combustion. Fire seems just too dependent on gear to be the most effective in challenge modes. So I thought the time may have come to do something radical: set my Fire spec aside and play Frost in challenge modes. I dusted off the spec. I fixed my keybinds and buttons. I read guides. I reforged and regemmed. Once I made the decision, I wanted to just go ahead with it. So I figured – hey, I’ll play Frost for our raids this week, too. Everything is “on farm” anyway, I wouldn’t be holding us back while I fumble around a little bit. I stood at the target dummy getting used to the “feel” of the buttons and I updated my Weak Auras to include some new notifications. I went into the raid feeling excited and a little apprehensive. I take pride in being a good DPS, I didn’t want to be at the bottom of the meters because of this change. But something strange happened. I wasn’t doing poorly. In fact…well, let me just show you. If you like charts and things, you can look more closely. If you don’t, let me just tell you, that I gained between 16-26K DPS on the fights shown. I omitted Council because I actually did better as fire there and I think my DoT uptime was a bit poor on the Frost version. I’m not too worried about it. I also omitted Tortos for the opposite reason – as Fire, my performance was truly pathetic, but the Frost combat logs are not an accurate comparison either because I was helping to AoE bats. I had AoE! Bats died! BIG YELLOW NUMBERS. (This basically sums up my DPS mindset in a nutshell). Fire is on the left, Frost is on the right. So I was thrown into a quandary, except it wasn’t much of a quandary. Playing as one spec clearly and roundly has trounced the other spec for me, and so I will be staying Frost for the foreseeable future. Still, I know for a fact it’s not that I was suddenly playing miraculously better as Frost… In fact, you can see that my active time went down in every case. It’s hard to avoid this kind of human error. Our motto is “always be casting,” but I was still a little fumbly and getting the hang of Frost, so I wasn’t managing it as well as I could be, and yet I still beat my own DPS by a significant amount. I have to admit, it’s a bit disheartening. Now I’m questioning myself – did I never truly get the hang of the “new” Fire? Is it just that because I’m not a heroic raider, I’m not able to play Fire to its fullest potential? It’s true that Frost isn’t subject to the kind of RNG stuff that Fire is. I find it plays really smoothly. There’s always a button you need to be hitting. You can imagine it did make a big difference in CMs, too. My contribution felt much greater than it had in previous weeks. I have had a few Frost growing pains, too. Mostly related to suddenly creating a truck load of threat unexpectedly. I’ll put it this way, I used to use Mirror Images as a safeguard, especially at the start of fights. Now it’s the only thing standing between me and (buh buh buh bum) CERTAIN DEATH. This is how I came to be shrieking around dragging Horridon last week while yelling “Get it off, get it off!” I also had a retrospectively hilarious death at the end of our last Lei Shen kill. I don’t know if that’s directly related to being Frost… but let’s just say that Alter Time -> Thunderstruck -> Blink -> Alter Time doesn’t end well for anyone wearing a dress. If I’m being honest with myself, I guess I have to admit that maybe I just wasn’t pushing myself as Fire any more. In the past, many of the times I switched specs was because my damage had been lagging behind. It can help to mix things up, and some of that may be at play here. Although I try to stay current on my information with any spec I’m playing, maybe I had gotten complacent and that’s the biggest reason why Frost has been such a marked improvement. One thing is clear, though. It’s time for a new Frost transmog! Continuing a Manalicious tradition, I present to you the following: A list of gear to get your mage (or other cloth-wearing caster) ready for raiding! The conventions of the list are described in the following paragraphs. I haven’t listed any gear from normal dungeons because normal and heroic dungeon gear has the same name and is just a lesser version of heroic gear. This is a ready for raiding list, so of course you’d prefer to have the heroic version. Use common sense; where normal dungeon gear is an upgrade for you, equip it! In the past, I’ve included one quest item per slot just in case you really had trouble finding gear; unfortunately the database at Wowhead hasn’t had time to catch up with all that info yet. So there were many pieces of gear as I was searching that look like good gear, but I have no idea where it comes from. It could be a quest, it could be tailoring, I don’t know. I included quest rewards for the first few slots but eventually gave up. I assume everyone will quest their way to 90 to some extent, keep your eyes peeled for obvious quest rewards. You will likely replace them with gear from this list in any case. This is not an absolutely comprehensive list although I’ve tried to make it as complete as possible. I still don’t know exactly what’s crafted from Tailoring or where there might be some juicy quest items. I have not included any PvP gear and this list is specifically for PvE purposes. The newest addition to gearing options is the Raid Finder, and Raid Finder items are listed under their own header. You still have to technically get a high enough ilevel to do Raid Finder, though – are you getting ready for pre-raiding raiding? Anyway, this is not a Best in Slot list, this is a list aimed at helping you to zero in on the best upgrades for your character from reputation, crafting, heroic dungeons and eventually RF. You can ignore the RF upgrades if you don’t intend to do it. I wouldn’t call it a reliable method of obtaining loot in any case because your odds of getting actual gear from it are pretty slim, at least in the Raid Finder’s current incarnation. One major change worth noting to the gearing process is that items formerly purchased with Valor or Justice Points now also require reputation in Mists. So the heading “VP/JP” items also includes a reputation along with each item. The VP cost of items was available for some things on Wowhead, for the vast majority it was not, and so I used current conventions for items of that type. (i.e. a cloak is 1250, hands are 1650, pants/chest are 2200, and so on). These may be inaccurate but hopefully they are close. Blues are purchased with JP and epic purples with VP, as is expected. Gear is organized first by slot. Each item has a Wowhead link, followed by the location or source (if known), and then the secondary stats. Int is assumed, none of the items have spirit (a pox on your spirit) and all weapons have spellpower etc. Items are coloured with their respective rarity; only blues and purples are listed. Trinkets have a brief description of their effect or use. This time around I’ve added a nifty Table of Contents so you can click any link to go straight to a particular section of interest! It’s beyond the scope of this list to provide appropriate enchants for each slot, I may do a post about gems/enchants a bit later on. Disclaimer: As I said above, I’ve endeavored to be as comprehensive as possible with this list but inevitably there may be items I’ve missed or that were added after the fact. This information is compiled for my personal use, and I share it with you so that you have an easy reference, but it’s not my fault if you buy pants when you should’ve bought a helm! Inscribed Serpent Staff – Inscription crafted BoA staff, some BoP materials involved so may not be feasible to have lower level scribes craft for your main. Cannot be traded or sold on the AH. I hope that this list helps you to locate some worthy upgrades as we dive into a new expansion. If you have any additions, corrections, or comments, please feel free to post them here! I’ve gone over this thing until my eyes bleed checking for formatting or other errors. I hope nothing has escaped my notice but it’s possible it has. If you see anything, I’d appreciate your letting me know.